A Dot is now officially a two time Trend City Radio “Hall of Famer”! After climbing up & down the charts week after week with his latest hit “iight Now”, things have finally turned the switch. Landing number one in the #Top30Countdown for the second time this past Sunday. This accomplishment now puts him in the category as one of the new rising elite artist on Trend City Radio. Listeners & competitors both took notice once this single hit the airwaves. The message behind the music is what couldn’t be ignored. Regardless of what uphill battle you are currently facing at the moment, this song will install the courage back in you to keep moving forward. A Dot is using his voice as a tool to help others from around the world who struggle in everyday life. This song is considered more than just a tune, it can also soothe the soul. The production, powerful message & lyrical content all make a blend for an excellent single. I rate the “iight Now” track 5 outta 5 Flames! Does this single have the potential to reach number #1 once again? Time will tell. 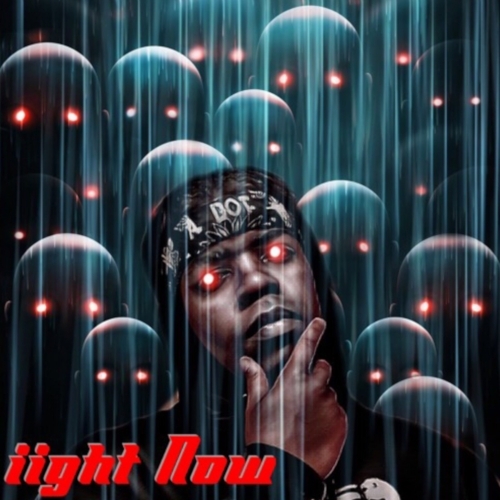 Click the link below to listen to the full version of A Dot’s latest number #1 hit single “iight Now”. Also keep a lookout for A Dot’s new eight track mixtape coming out towards the end of the year. Older Post"Am I A Refugee"